It seems cosmically unfair that Italian writer Beppe Fenoglio died of Bronchial cancer at the age of forty, as surviving WWII as an Italian partisan. However, he has continued to have a literary presence through the posthumous publication of a number of works, including this novella of love and war. 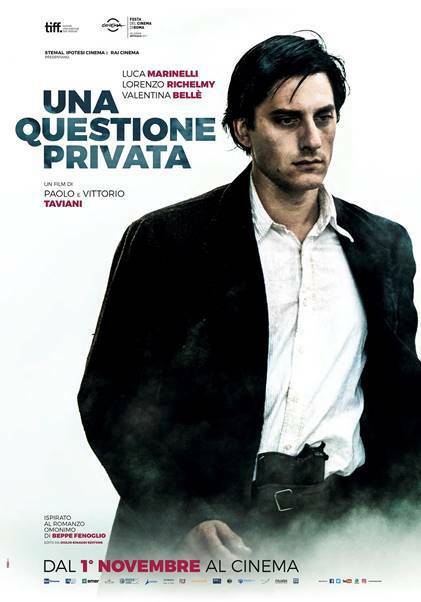 Frankly, the two are not so easy to distinguish in Rainbow: A Private Affair (trailer here), the final film collaboration from the Taviani Brothers, Paolo and Vittorio, which screens during Open Roads: New Italian Cinema 2018. Before he was a partisan, Milton was a student of English literature—hence his nickname. He also carried a torch for the free-spirited Fulvia, whom he often visited at her family’s summer estate, along with their mutual friend Giorgio. It was sort of a Jules & Jim style triangle. However, the revelation Fulvia might have favored Giorgio, perhaps even in carnal terms, has Milton profoundly distracted from the war. Fortunately, his comrades are also Italian, so they can understand his inconvenient shift in priorities. 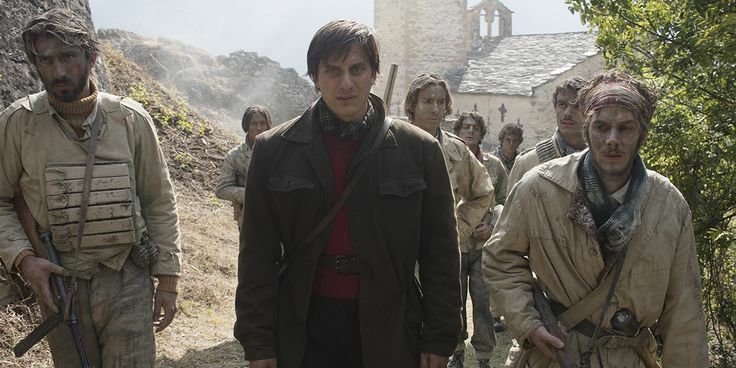 Determined to learn the truth, Milton obtains leave to visit Giorgio, who is also a partisan, attached to a different brigade operating around the Langhe region. However, as soon as he arrives, Milton learns his friend (or rival) has been arrested by the Blackshirts. This propels Milton’s desperate scramble to capture a “roach” he can exchange for Giorgio, but his motives are not exactly clear. He wants to hear the truth from Giorgio directly, yet his loyalty towards his friend also seems genuine, at least to some extent. Vittorio Taviani passed away a little over one month ago, but he and his brother still show a fine command of their craft with their final outing as a filmmaking tandem. In fact, it is a fitting capstone for their work, given its aching romanticism. It is also rather personal, even limited in scope, as the title would suggest. Yet, despite all Milton’s heartsick gloominess and death-seeking behavior, it is ultimately a life-affirming film. Luca Marinelli broods for all he is worth as Milton, but ironically, his most memorable and moving scenes are played with neither Fulvia or Giorgio. In fact, they both seem too shallow to be worth his anxiety, as portrayed by Valentina Bellè and Lorenzo (blonder than he was in Marco Polo) Richelmy. However, there several small but brilliant supporting turns, such as Antonella Attili as the austere caretaker of Fulvia’s family villa and Andrea Di Maria as a roach who fancies himself a jazz drummer. Arguably, Marinelli’s real co-star is Judy Garland, whose rendition of “Over the Rainbow” Fulvia plays incessantly. Giuliano Taviani (Vittorio’s son) and Carmelo Travia nicely incorporate the tune into their lush, somewhat jazz-influenced soundtrack, but it would have been much cooler if they’d used a Billie Holiday song. Regardless, cinematographer Simon Zampagni fully captures the ominous beauty of the fog-shrouded Langhe foothills. Throughout it all, the Tavianis deftly maintain the mysterious, mystical atmosphere, without indulging in excessive pretentions or padding. It is a lovely little film that serves as an apt coda on their storied careers together. Highly recommended, Rainbow: A Private Affair screens Friday (6/1) and the following Monday (6/4) as part of this year’s Open Roads.